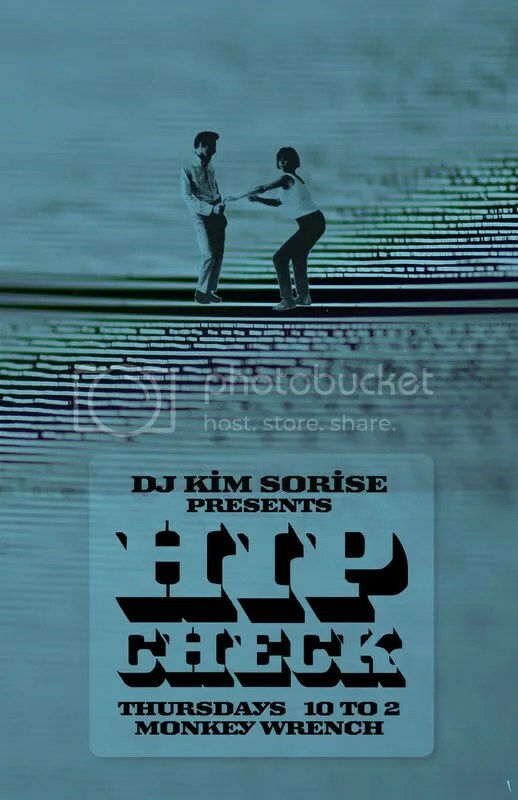 We’re not big on hyping anything, especially if it’s something we’re actually doing, but tonight once again we are djing with the lovely and talented Miss Kim Sorise, one of Louisville’s best djs, at the Monkeywrench from 10 PM to 2 AM tonight, September the 25th. Come on out! There will be drink specials and it’s also three days before our birthday (that is, our actual birthday, not the blog’s birthday). The Monkeywrench didn’t have power for most of last week, so please come on out and support an awesome local business that needs your help! And of course, the Monkeywrench is located at the corner of Winter and Barrett, in that fun little area between the Highlands and Germantown (that really doesn’t have a name). Tomorrow night, at Lisa’s Oak Street Lounge on the corner of Oak & Swan in Germantown, Detroit rockers Tyvek play with Suspected Terrorists and Metal Bubbles. We saw Tyvek back when we lived in New York, and they’re great. They’ve got a new single out called “Sidewalk,” and wouldn’t you know, we’ve got some mp3s of it here for you to download. Suspected Terrorists are a great Louisville combo, and Metal Bubbles are a new band consisting of Tim Ruth (ex-Evergreeen), Dom (Dead Child, Phantom Family Halo, Sapat) and Kris A. and Alan from Sapat. Should be awesome. 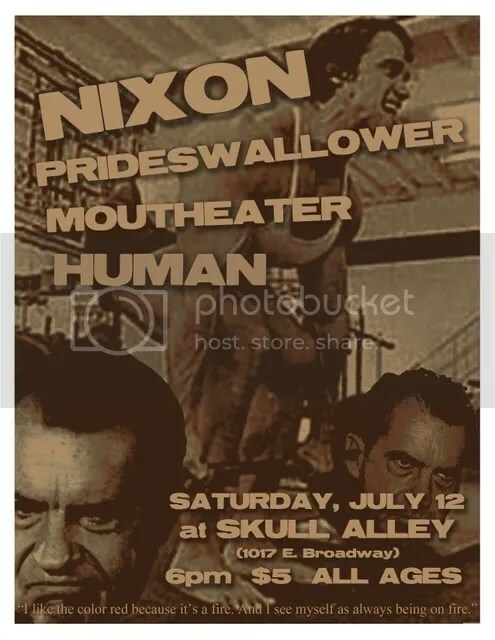 10 PM, $3. Sorry, no flier. 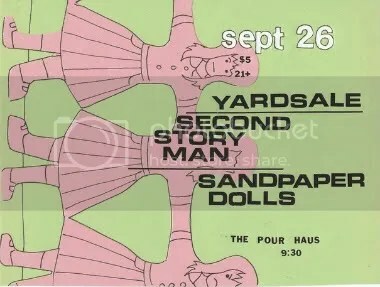 Also Friday night, Second Story Man (subject of a nice little write-up in this week’s Velocity) is playing the Pour Haus with Yardsale and Sandpaper Dolls. We’re really excited about the latter, as it’s an all-female a capella trio including Suki Anderson of A.M. Sunday and Amber Estes of Liberation Prophecy. 9 PM, $5. If there’s a debate, we’re gonna watch part of it, DVR the rest, then head over to the show! Tonight, Thursday, July 10th at Derby City Espresso we’re proud to present an evening of experimental music with Shedding, Tusk Lord, Caboladies, Hunted Creatures and Chris Niels. Shedding and Caboladies are from right here in the Bluegrass State, while Tusk Lord, Hunted Creatures and Chris Niels are visiting from Pennsylvania on a short, summer tour. Come on out, it’s sure to be a blast. 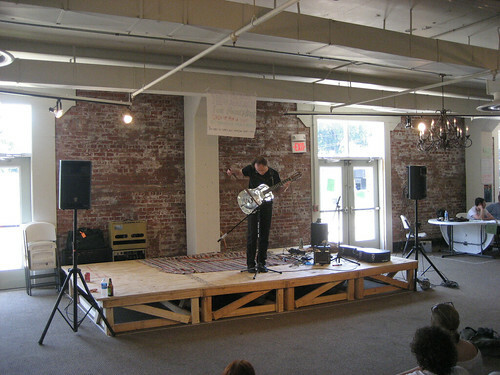 Derby City Espresso is located at 331 E. Market Street (between Preston and Floyd), 8 pm, $5. Also tonight at the Monkeywrench (at the corner of Barrett and Winter), DJ Kim Sorise will be spinning soul, funk, a little rock n’ roll, and all kinds of good-time party music, with no cover, starting at 10 pm. Friday at Lisa’s Oak Street Lounge (on Oak Street, natch), Ladybirds, the Impossible Shapes and Anton Mink play at 10 pm, $5. Friday night at the Pour Haus, Your Black Star, the Fervor and Birds and Batteries play at 9 pm, $7. 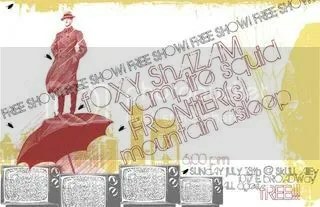 Sunday at Skull Alley, Foxy Shazam, Vampire Squid, Mountain Asleep and Frontier(s) play at 6 pm, and it’s FREE! And all weekend long there’s that whole 7th annual Lebowski Fest thingy which we’re sure you know all about! You are currently browsing the archives for the Music This Weekend category.